Get ready to ring in 2019 with these awesome New Year’s Eve celebrations. With family-friendly offerings from The City of Calgary and TELUS Spark to a fundraiser for FrogFest and a comic murder mystery, there’s something for everyone. This celebration is perfect for Calgarians with early bedtimes. With a special countdown beginning at 11:45am featuring hydrogen balloon explosions, the festivities continue at the bubble wrap dance party. Celebrate with the family and play, swim, jump, splash, and slide into 2019. 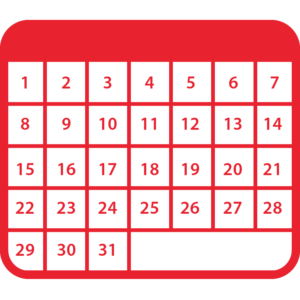 Look for arts and crafts, games, obstacle courses, a bouncy house, and a pool party countdown. Play, skate, swim, jump, and slide with the whole family this New Year’s Eve and be sure to spend some time at the waterpark as a DJ pumps out the tunes at an epic pool party. Bring your family out to the new Central Library to enjoy dancing, storytelling, crafts and activities, teen gaming, and more. You can even take in poetry readings by Calgary Poet Laureate Sheri-D Wilson and cap the night off with a 9:00pm countdown with Mayor Naheed Nenshi. A special New Year’s Eve comic murder mystery from Pegasus Performances, enjoy this interactive James Bond spoof featuring fabulous food and entertainment. The City of Calgary caps off the year with an evening of free music, live performances, activities for all ages, and, of course, fireworks. 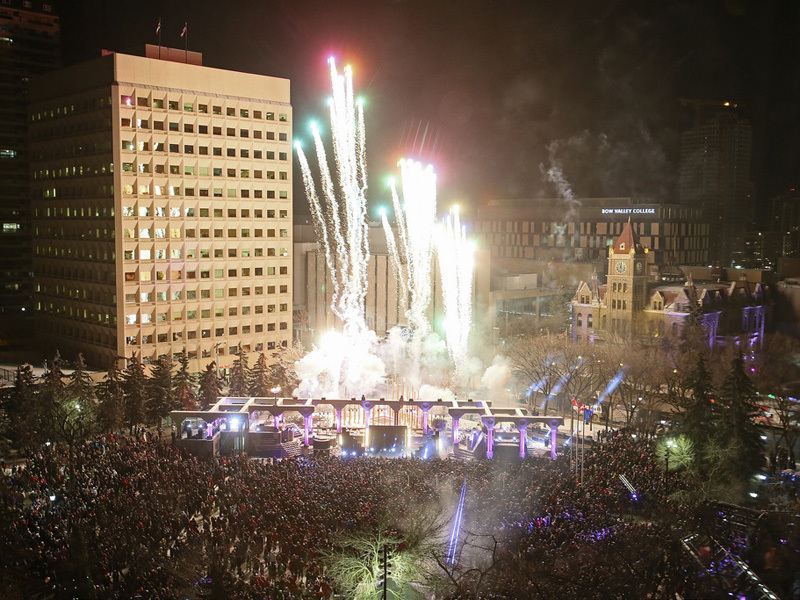 From the outdoor skating and music at Olympic Plaza to a family-friendly rumpus room at the Municipal Building, stick around as the countdown ball drops and the fireworks kick off. Want to ring in the new year by laughing the old one away? Well, FunnyFest has you covered with four headline comedians, live music, and much more. Ring in 2019 with Luminous Voices’ popular New Year’s Eve tradition featuring gems of choral music by Palestrina, Gabriel Jackson, William Harris, and more. Admission includes special treats during intermission such as delicious bites from The Chocolate Lab and others. Wanna giver’ this New Year’s? Join FUBAR’s own Terry Cahill for a night of drink specials, unlimited play pinball, and an epic party to cap off 2018. A fundraiser and celebration for FrogFest, come dressed to impress in 1920s style. Dance all night to the music of The Wheel, the Alex Ginella Band, and Vescarelli/Rozitis/Gignoux—the performance is even going to be captured on the National Music Centre’s Rolling Stones Mobile Studio and released on a limited number of locally pressed vinyl.